If you receive Universal Credit the amount you get changes if your take-home pay changes. This includes awards of backdated pay. If you get additional pay within a Universal Credit assessment period (month), your Universal Credit payment will either be less than you normally receive or your income may be too high to qualify for a payment. Universal Credit is calculated on your personal circumstances. Because of this we don’t know how individuals may be affected. Q) Will the back dated pay award affect my Universal Credit Claim? Yes. If your earnings increase or decrease your Universal Credit payments will adjust automatically, this will include any lump sum received from back dated pay awards. Q) How will my Universal Credit Claim be affected? The 2018/19 Local Government pay settlement was agreed on 1 February 2019 and is scheduled to be in place and paid, with a backdated award expected at the end of March. This increase together with the backdated payment means you will either receive less Universal Credit than normal or you may even earn too much to qualify and your Universal Credit claim will close. If your claim closes, you will see a message on your UC Journal telling you about this. Q) How Do I Reclaim Universal Credit? Log into your UC journal and select the “Reclaim” tab. You will find this at the bottom of the screen. This will take you to a new screen where you will be asked to answer a few simple questions. If you have any problems doing this, contact your Work Coach or visit your local Jobcentre Plus. Q) Do I need to inform Universal Credit of my backdated pay award? No, the Council’s payroll team supply Pay As You Earn (PAYE) information to HMRC on or before the day you are paid. You may have seen this referred to as Real Time Information (RTI). HMRC sends relevant data on Universal Credit claimants to DWP on a daily basis (4 times a day). This means the information supplied will be with DWP on the same day or on the next day, at the latest. Q) What is a work allowance in Universal Credit? If you and/or your partner are in paid work you may be able to earn a certain amount before your Universal Credit payment starts to be affected. This is called a Work Allowance. Q) I have a work allowance, how will the back dated pay award affect my Universal Credit? For every £1 you earn above your Work Allowance, your Universal Credit payment will be reduced by 63p. Q) I am still concerned how this is going to affect me. Who can I turn to for help? As some of you may know, our Treasurer stood down at the end of February after keeping the Branch's accounts up to date and accurate for over two years. Are any of you as UNISON Angus members interested in carrying out this valuable and necessary role? There is a Branch Officer Training Weekend on 10 – 12 May in Glasgow where there is training delivered and we have great working relations with the Treasurers at both Dundee City and Aberdeenshire branches. If you want to talk over the opportunity before coming to a decision, please don’t hesitate to get in touch with us! Thank you so much to everyone who took the time to complete our survey on the proposals by Angus Council and ANGUSAlive to change some of your terms and conditions. We've now emailed you the results which clearly reflect our members dissatisfaction with every proposal put forward. This morning we met with Angus Council senior managers and shared these results with them, along with a number of anonymous comments on the proposals which stated quite clearly what many of you think about the detrimental impact these proposals will have on your terms and conditions. 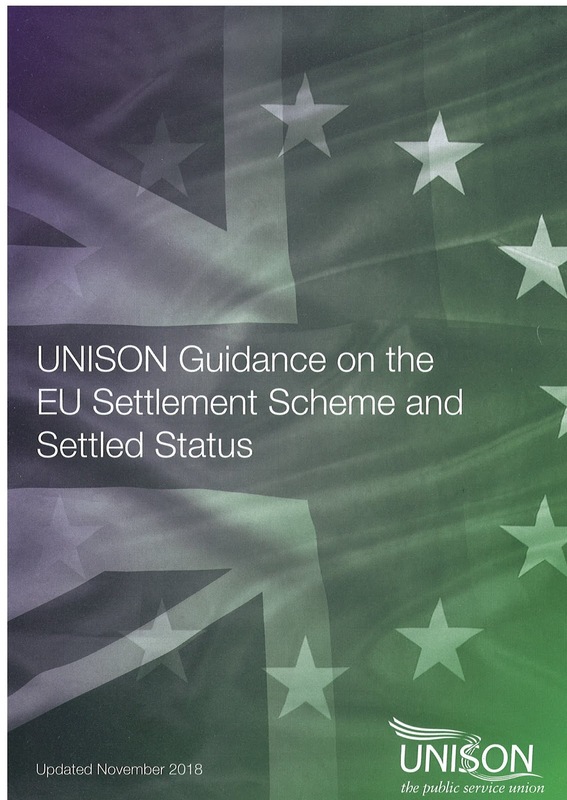 Having discussed the issue, UNISON Angus, along with GMB, consider the survey of members and sharing of results with the employers as being part of the 'collective bargaining' arrangements that exist between us and we now await further information from the Council and ANGUSAlive with regards to their intentions about the proposals. As soon as we know what that is, we will be back in touch with you all. Some of you will have today read that following last night's Dundee City Council Policy & Resources Committee, your fellow members in Dundee City Branch have been the subject of a direct attack on their terms and conditions without any consultation from the employer at all. We are in solidarity with each and every one of them in standing up in opposition to what has happened. We will work hard to fend off the proposed changes to terms and conditions in Angus - changes that will directly impact on you - and we know from your responses to the survey that our members will stand up in opposition to the proposals too should that need arise. We are all 'the union' and everything we do collectively can make a difference. A reminder to all our members that the UNISON Angus Annual General Meeting will be taking place on Wednesday 27 February 2019 at 6pm in St Andrew's Church Hall, Hamilton Green, Arbroath. A buffet will be available from 5.15pm. This is your opportunity to have your say on the challenges we continue to face due to continued cuts to services and jobs. The agenda and papers were emailed to members on 8 February - if you didn't receive a set please contact us by replying to this post or emailing office@unison-angus.org.uk and we'll get them to you. If you're coming along and haven't told us yet, please do let us know and also if you have any dietary requirements for the buffet.